2. 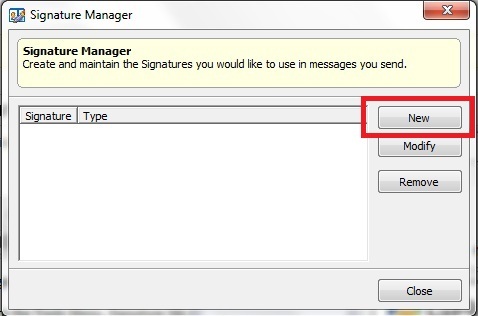 On the Signature Manager screen, click the� New button to create a new signature. If you already have signatures created, you can also modify and remove them from here. Note: Plain-text signatures may not contain special formatting, images or hyperlinks. 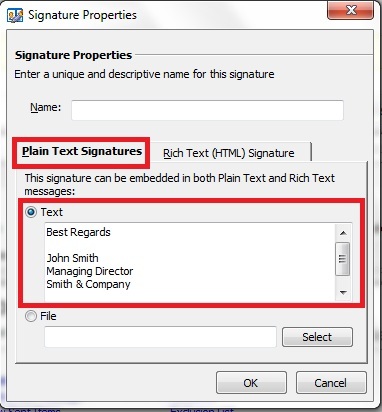 If you already have a plain-text signature created and saved on your computer, you can also tick the “File” radial button to point to a .txt file that contains your plain-text signature. 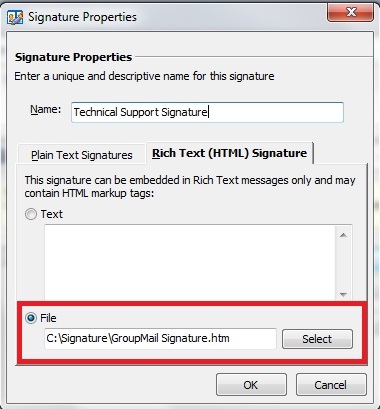 To add a Rich Text (HTML) signature, click the Rich Text (HTML) Signature tab and tick the “Text” radial button to enter a signature in Rich Text (HTML) using HTML markup tags as desired. 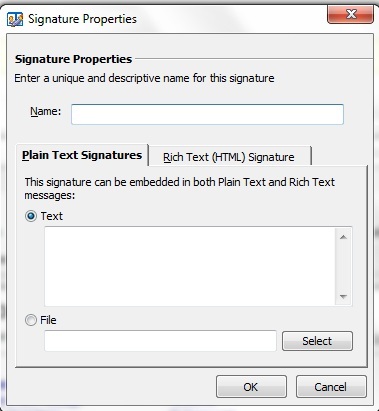 If you already have a Rich Text (HTML) signature created and saved on your computer, you can also tick the “File” radial button to point to an .html file that contains your Rich Text (HTML) signature. Note: If you want to include a logo or other image in your Rich Text (HTML) signature, then you will need to create this as a HTML file using an HTML editor first. It is important that the absolute path to the logo (or any other image) is given in the HTML File. Read why are my images not showing for more details about entering absolute paths. 6. 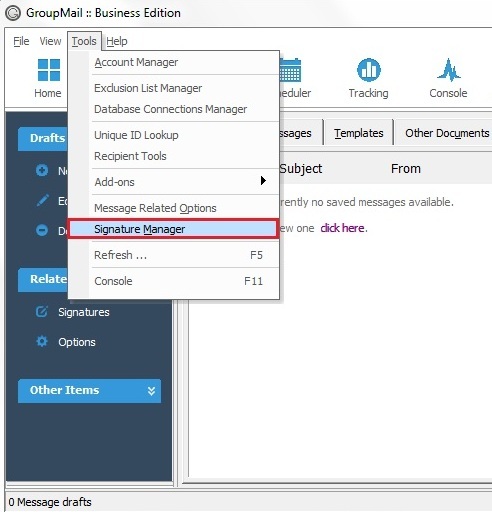 Finally, to add a signature to a GroupMail message, select� Signatures from the� Insert menu and select the signature you want to use from there. 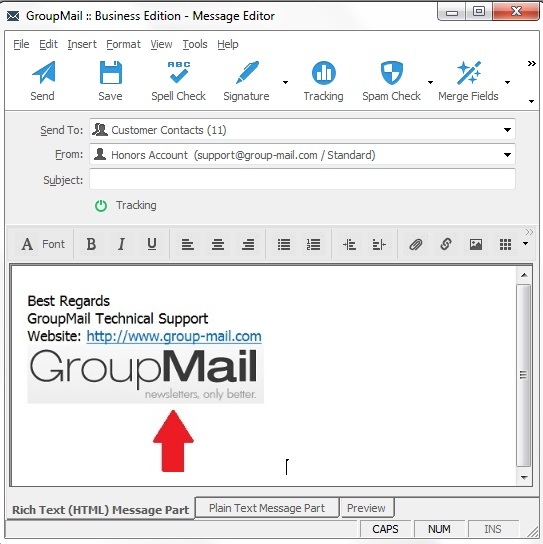 If you have any questions, or need any help� contact the GroupMail Support Team.